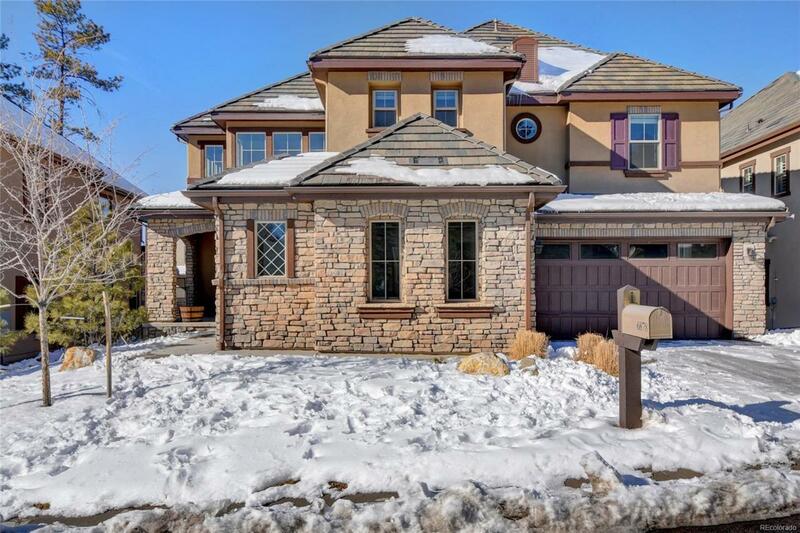 Cozy sophistication describes Castle Pines living and this impeccable home is the perfect example. 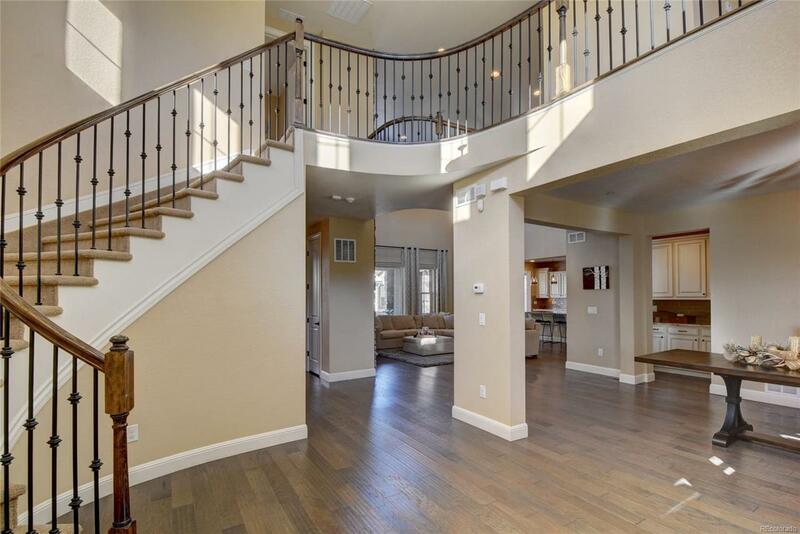 Built in 2016, the open floor plan with soaring ceilings & large windows spotlight the captivating views of the Colorado mountains, making it feel spacious while still providing the warmth & comfort of a family home. With five bedrooms & baths and a finished walk-out basement a full bar the 'perfect guest retreat". Modern design that is comfortable for everyday family living, yet ideal for entertaining friends and neighbors. 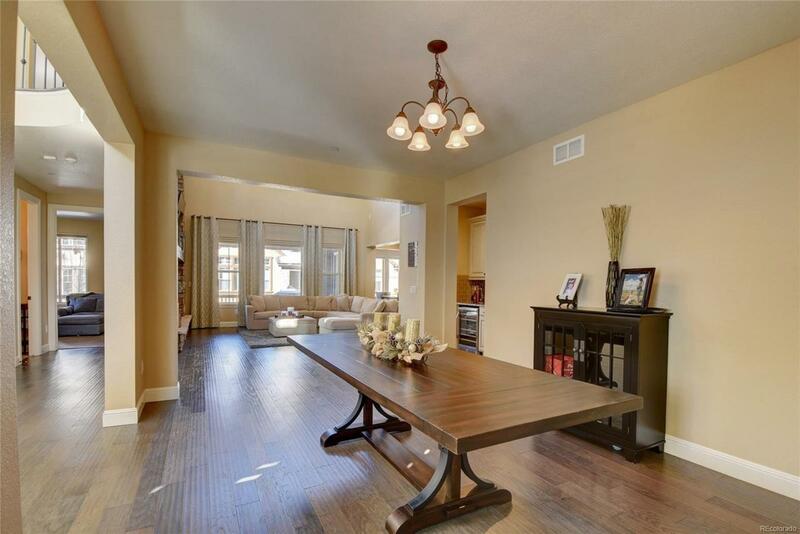 Gorgeous hardwood floors outline the main level and kitchen with new stainless steel appliances, granite countertops, overlooks the exquisite living room area with large fireplace as the centerpiece. The dining area opens up to a covered patio, so you can spend more time outside throughout the year enjoying the fresh air and ever-changing Colorado weather. 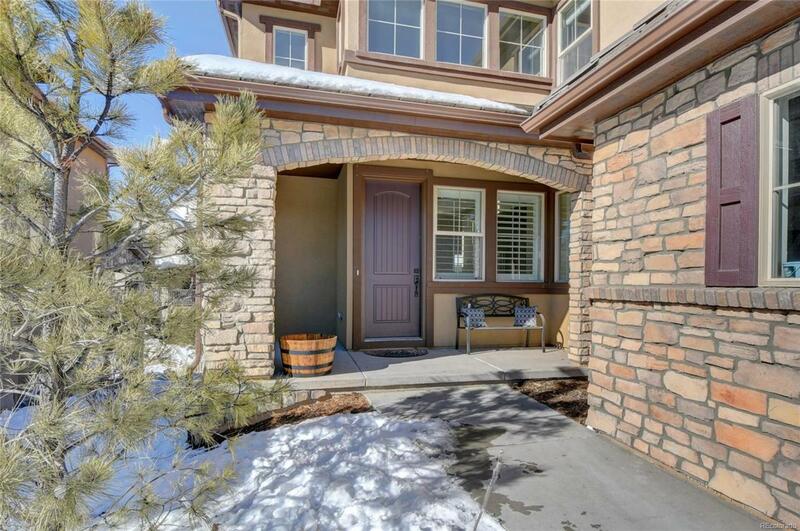 Located on a cul-de-sac in a gated community plenty of trails and parks for an active Colorado lifestyle.